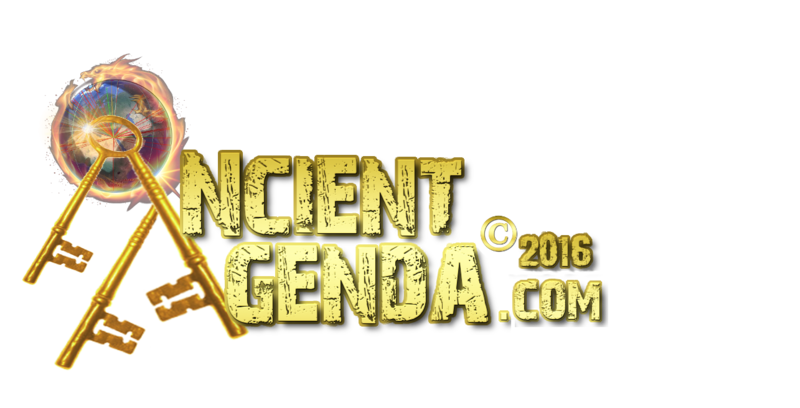 Throughout history, many have spoken of a lost codex to a prior advanced civilization. Missing links and forgotten ages plague modern mans understanding..while at the same time a mountain of worked rock stands in ‘direct’ polarity to mainstream education and knowledge at Giza, Egypt in what can arguably be the most technically advanced building on our planet. Might there be corroborating evidences in the old world – a bridge across today’s science and learning that helps us to understand the past? 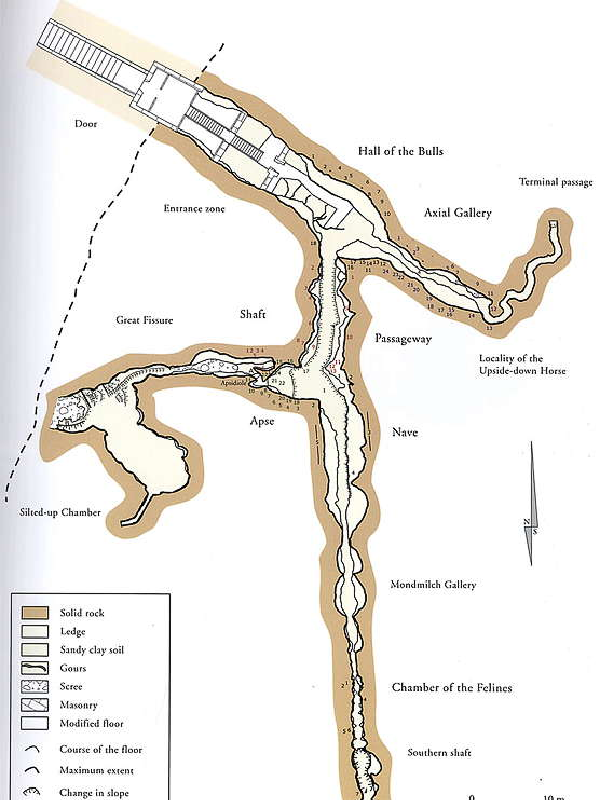 Challenging the status quo to pyramids and temples around the world built 1000 to 4500 years ago is Gobekli Tepe the outlier, 12,000 years ago, 7,500 years before the great pyramid?? 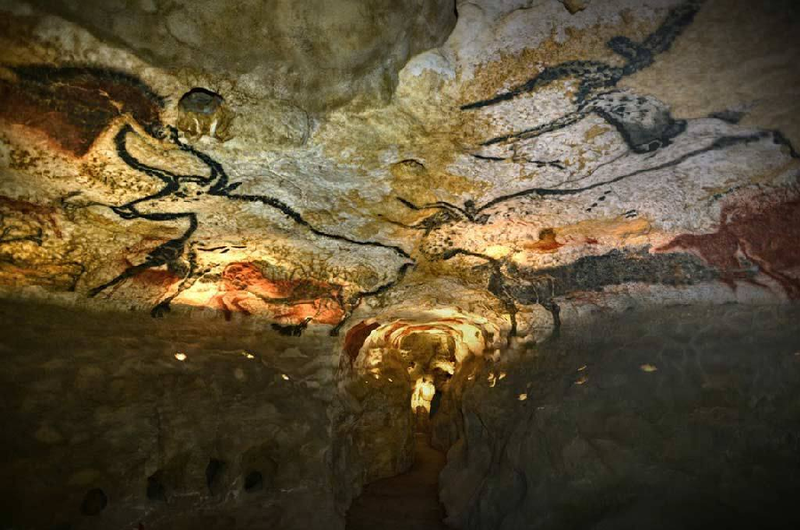 In Europe, specifically France, Spain and Germany there are caves that house paleolithic artifacts that display rather elaborate artwork to defy our knowledge of linear human advancements and place into question academia’s outlook when confronted with France’s cave artwork in particular. Sure there is skepticism over certain archeaoastronomical discoveries there within academia. After all, studies like this are somewhat compartmentalized with respect to other related disciplines necessary to understand why the knowledge ended up where it is, hidden away in spectacular cavern galleries during the ice-age. This UNISON Quest has taken us from the Atacama Giant and the Great Pyramid to the Nazca Lines, from Stonehenge to Serpent Mound, across standing stones and through dolmens. It has been down an Initiation Well and hovered above the great Eye of the Sahara. 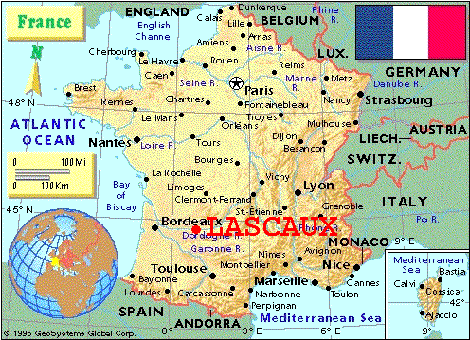 Come with us now as we push these sites further back in time..come explore what Lascaux has to offer. Is the greater public interest being served at a time when new discoveries continue to rock academia and is there hope in SAA’s mission statement? Let’s start with evidences in Germany and a special valley housing ice-age caves that have produced amazing artifacts including the oldest known musical instrument. 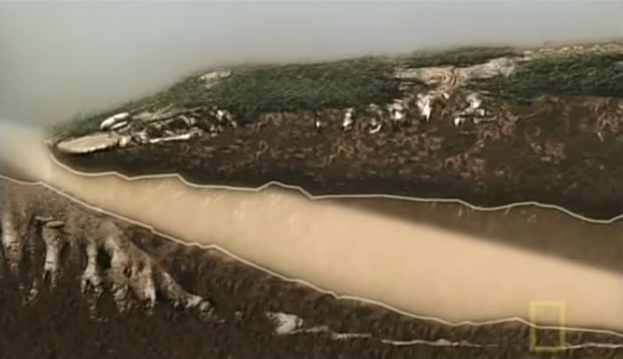 The Ach Valley is home to four ice-age caves. The valley stretches 4 kilometres in length, (13,123 feet). Hohle Fels cave sits 534 m (1752 ft) above sea-level. The cave consists of a tunnel of about 15 m (49 ft = 13) length and a main hall with a volume of 6,000 m3 (210,000 cu ft), making the cave hall one of the largest of Southern Germany. The cave was excavated to reveal two extraordinary finds, a Venus figurine (Venus of Hohle Fels) and a Vulture bone flute, both dated to 35-40,000 years ago. 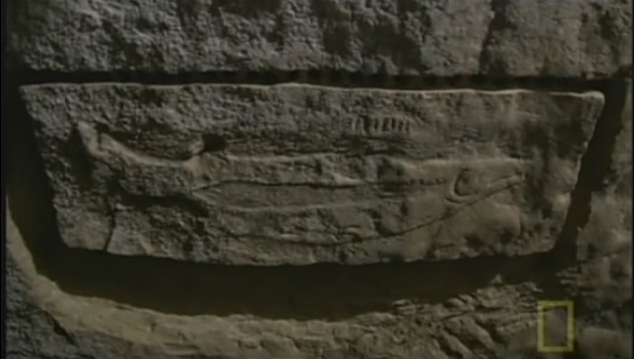 This flute is mankind's oldest known instrument and details knowledge that ‘ice-age cave people’ should not have had. Located in the Lone river valley is Volgelherd cave. This cave sits 20 m (66 ft) above the river. 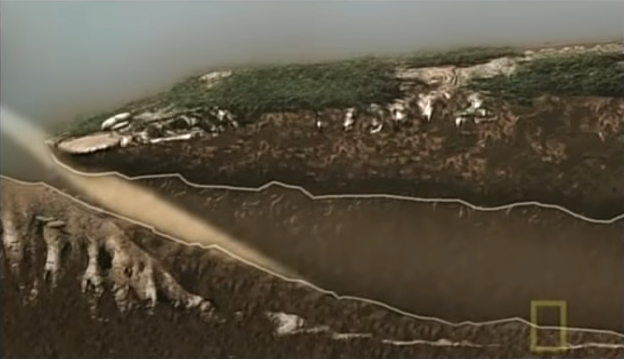 Its y-shaped entrance opens to a 40 m (130 ft) curved gallery, known as the “big cave”, whose height is 3-4 m (13.123 ft). A second curved gallery, the “small cave” is also 40 m (130 ft) in length but narrower. Two of three entrances holes (the two that form the y-shape) are 2.5 m (8.2021 ft=13) and 3.5 m (3+5=8 the imperial equivalent of 13) high. 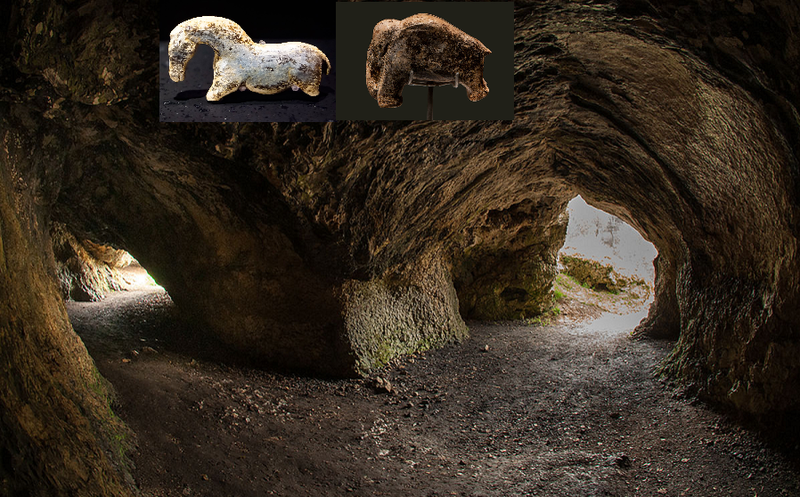 Volgelherd cave is known for its miniature ivory figurines – some of the oldest uncontested works of art. A 4.8 cm (1.88976 in=39) horse dated to 30,000 years ago. A 3.7 cm (1.45669 in=31) wooly mammoth dated to 35,000 years ago. Hohlenstein-Stadel cave is next to Vogelherd. One of its artifacts is a 31 cm tall figurine of a humanoid with a lion's head known as the Löwenmensch. "The lion-headed figurine is the oldest-known zoomorphic (animal-shaped) sculpture in the world, and the oldest-known uncontested example of figurative art. It has been determined to be between 35,000 and 40,000 years old by carbon dating of material from the layer in which it was found. It was carved out of woolly mammoth ivory using a flint stone knife. Seven parallel, transverse, carved gouges are on the left arm." 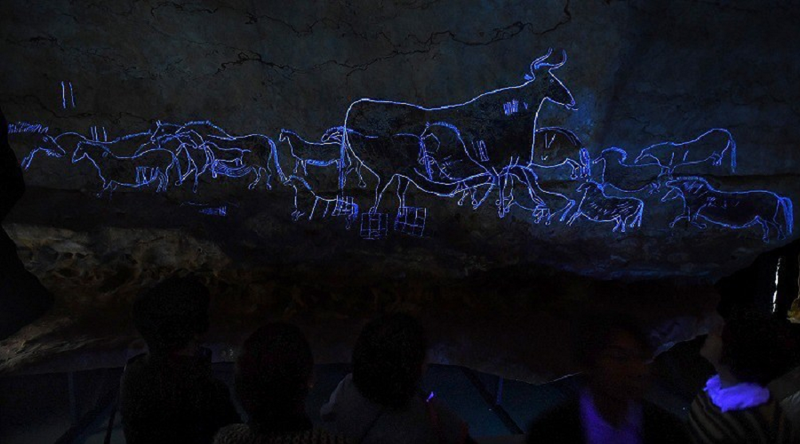 French researcher Dr. Chantal Jegues-Wolkiewiez’s journey and discoveries at Lascaux started at a place called the Valley of Marvels in the southern French Alps. It is here that she embarked on a decade-long study and her doctoral thesis on how stone-age man perceived the sky. 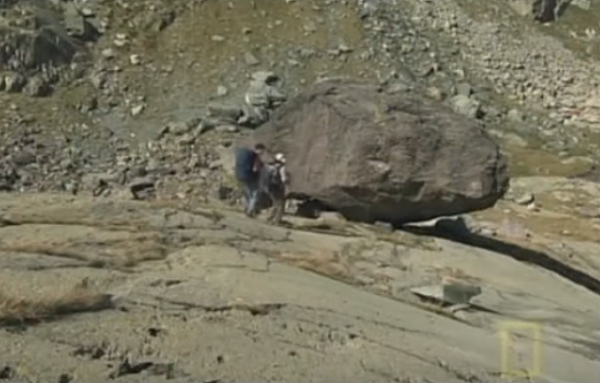 35,000 engravings are in this valley dated to between 1800-1500BC. Her premise is that during the Bronze Age the Valley of Marvels was a vast observatory nestled at 7000 feet. The slab named the 'altar' at the Valley of Marvels has 115 arrows many of which point to the rising autumn equinox sun. 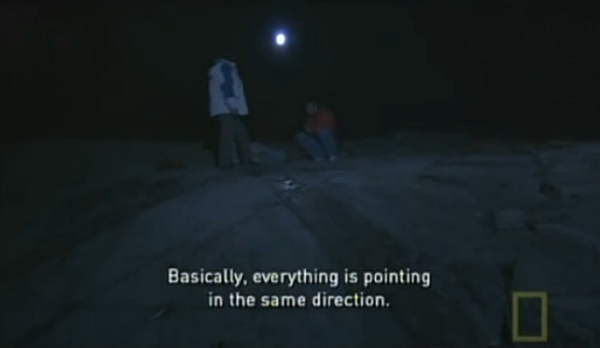 In the middle of the same night these arrows point to the moon. Dr. Jegues-Wolkiewiez made another amazing discovery. 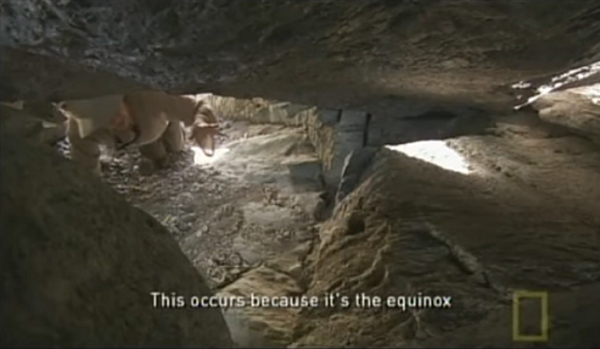 At one end of the 'altar' is a large boulder and on the equinox a dagger of light is seen underneath it from both the sun and moon. No doubt a clever work of solar-lunar engineering done in the remote past. 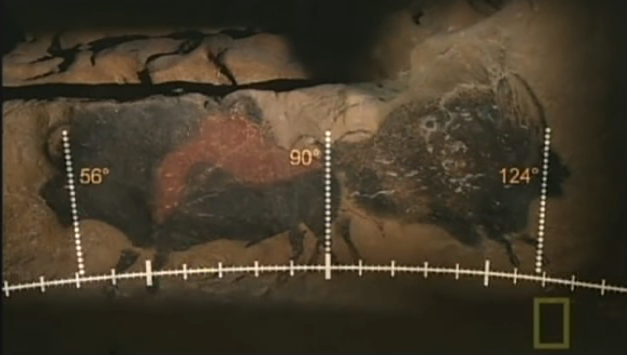 In 1999 Dr. Jegues-Wolkiewiez was invited to Lascaux cave by the curator. Her research there started on June 21, the summer solstice, where the setting sun lit the cave gallery as she had envisioned from inspecting many cave alignments on topographical maps. She was struck by how the shape of the caves dome reminded her of the belt of the zodiac. Her hunch was that it was the solstice light that made the caves sacred and why they were decorated. In fact she determined that all the well-decorated caves were solstice light oriented while the others were not. 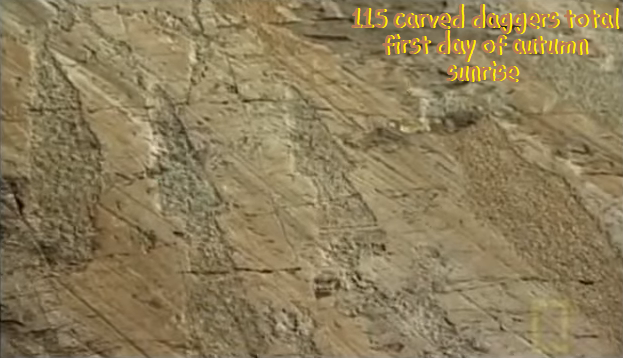 In total out of 130 caves only 4 were not aligned with the sun at key times, leaving 126 that are. 26 being the number of years x 1000 that the constellations precess and that Orion transits the heavens – 13,000 up and 13,000 down. Of the 130 intricately decorated caves, there are in fact exactly 13 animal species represented. "Dr. Jegues-Wolkiewiez claims that in Lascaux cave in the gallery of the Bulls it would be a transparent view of the night stars if the wall were glass. Specifically the constellations of Taurus and Pleiades and the stars Aldeberan and Antares. She proposes most of the constellations are represented by paintings of animals, accurately depicting their coloring and coats during the corresponding seasons of the year. 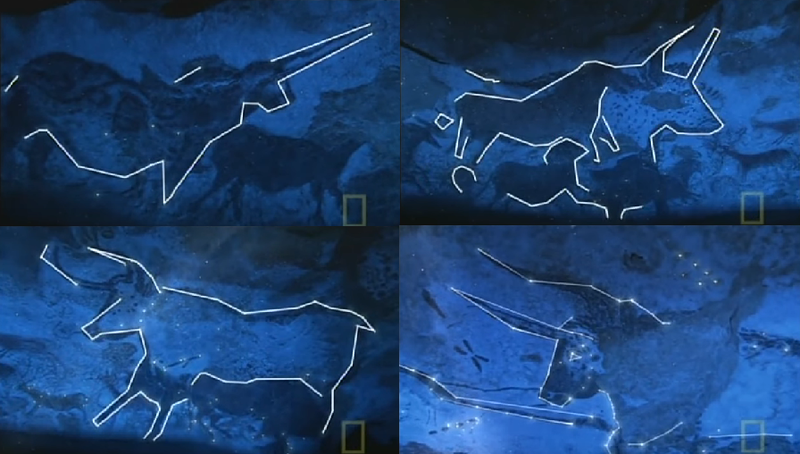 German researcher Dr. Michael Rappenglueck has arrived at similar conclusions, pointing to the markings juxtaposed on the painting of a bull at Lascaux, which he claims delineate the constellation Taurus. The Pleiades constellation is also accurately represented in its relative position in the sky over the bull’s shoulder. The Pleiades have been used as seasonal markers in ancient cultures worldwide and were possibly used to mark the autumn and spring equinoxes at the time the artwork of Lascaux was created." The salmon is a kelt that spawns in the winter before heading back out to sea. Winter is the only time this painting is illuminated. One off or coincidence? The tails of the two bison are crossed. According to experts, the fur color of the left bison indicates molting, while the erection on the right bison indicates rutting. Dr. Jegues-Wolkiewiez took some measurements of the eyes and tails. 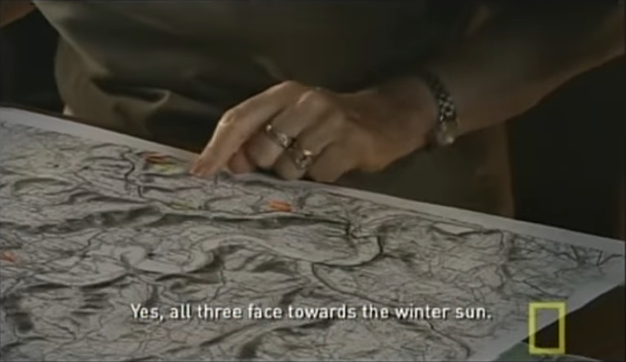 What she found was if the painting were transparent we would see the rising winter sun over the right bison eye and the rising summer sun over the left bison eye. Equinox suns would rise over the tails. This gallery is the biggest in Lascaux and Dr. Jegues-Wolkiewiez was curious to see if she could align the paintings to the sky. Using professional astronomical software she was able to superimpose the data over the paintings and came up with some startling connections. What she saw was Capricorn, Scorpio, Leo and Taurus. 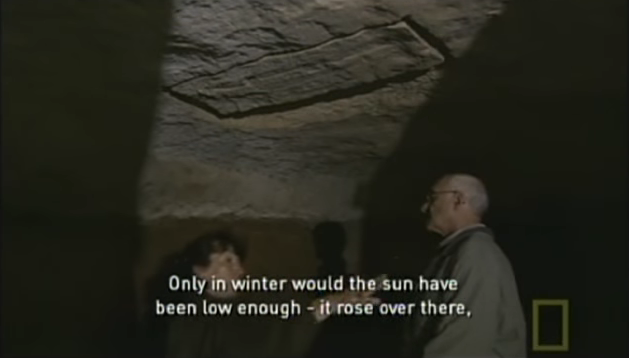 Can ice-age cave galleries that illuminate with Solstice light and show astronomical intellect beyond what we might think of as “cavemen art” be so easily discarded? 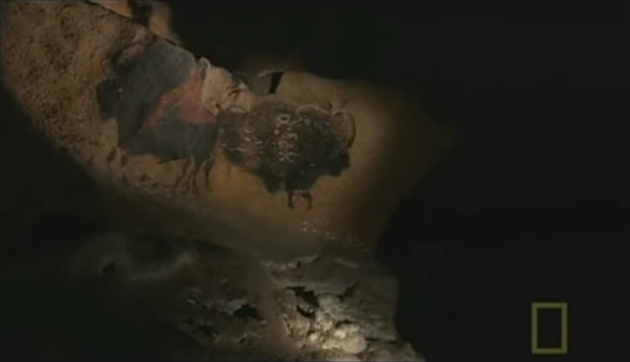 Does this not reveal another facet of Codex 13..Lascaux's Cave Codex – an advanced human knowledge preserved on rock in the remote past.